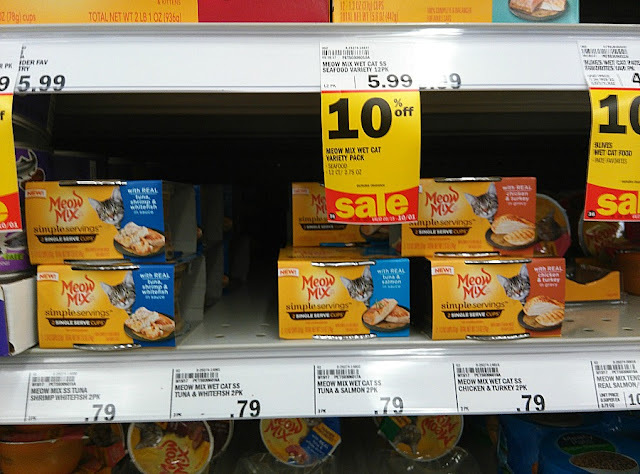 Need Cat Food Portion Control? 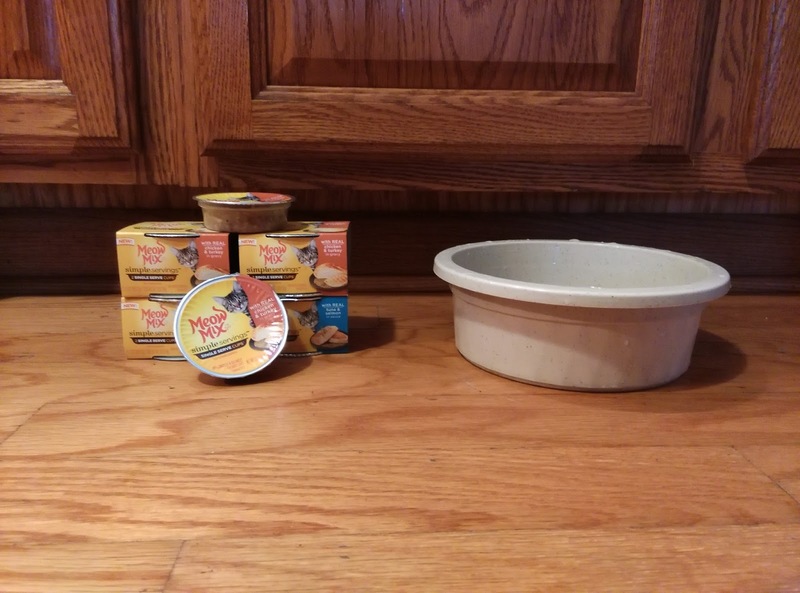 How do you Control Cat Food Portions? If you have a cat (or several like we do) you probably have a time controlling portions. 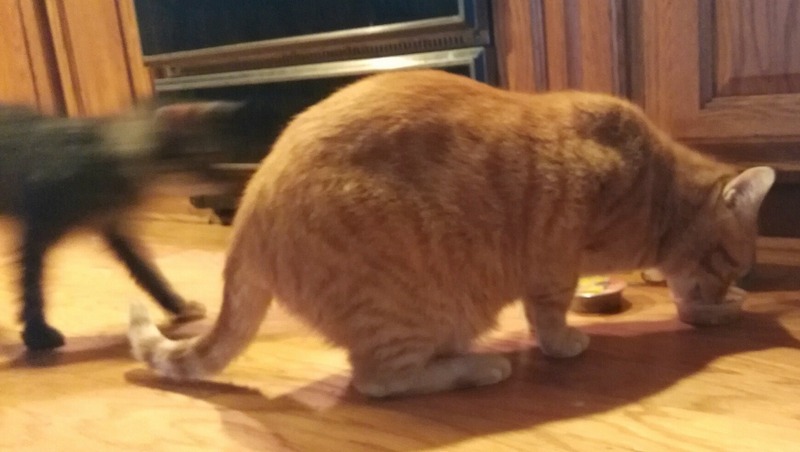 We have one fat cat who likes to hog all of the cat food. What is the right serving per cat? 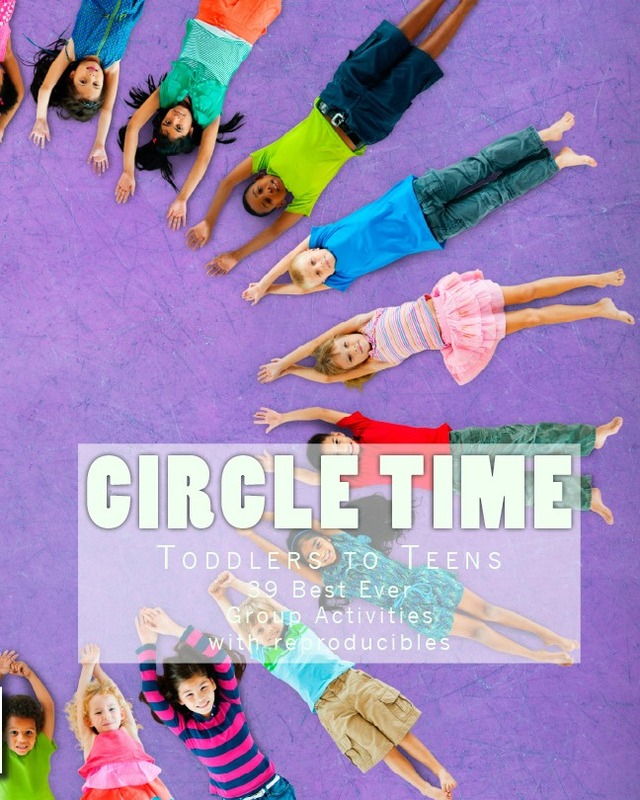 Do you base it on age, weight, or both? How do you control the mess? 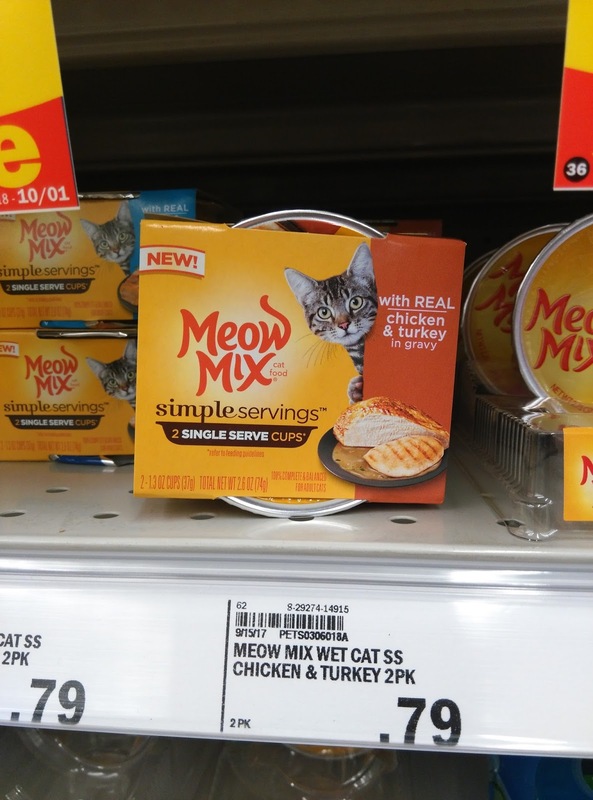 Meow Mix® Simple Servings™ at Meijer has solved your problem! It comes in a simple portion control package, so that part is easy. 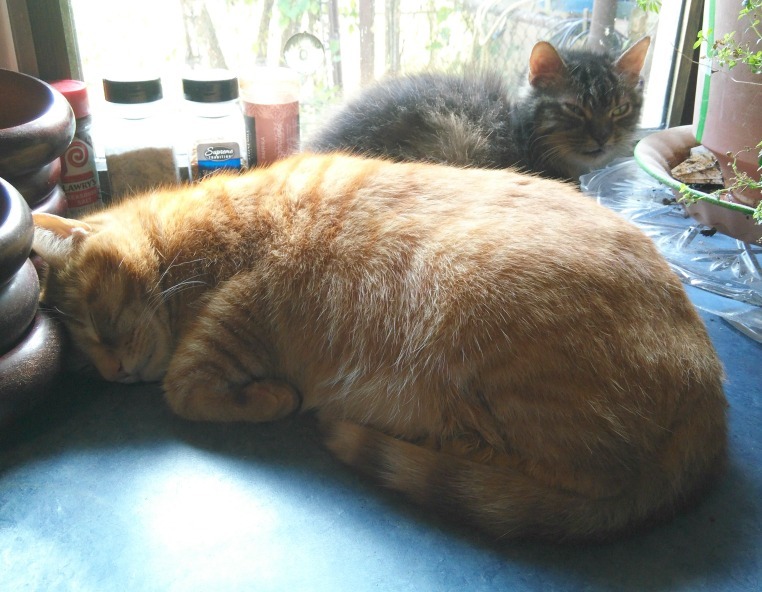 How do you keep your fat cat from nudging the other cats out and stealing their portion? 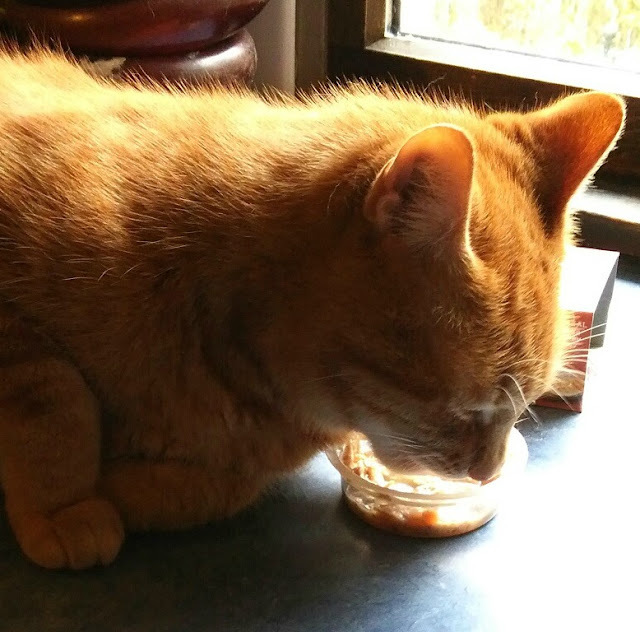 Keep reading to find out how we keep every cat eating their own cat food portion. Turns out, the bully isn't who we thought it was. Tigger chilling after his meal of Simple Servings. 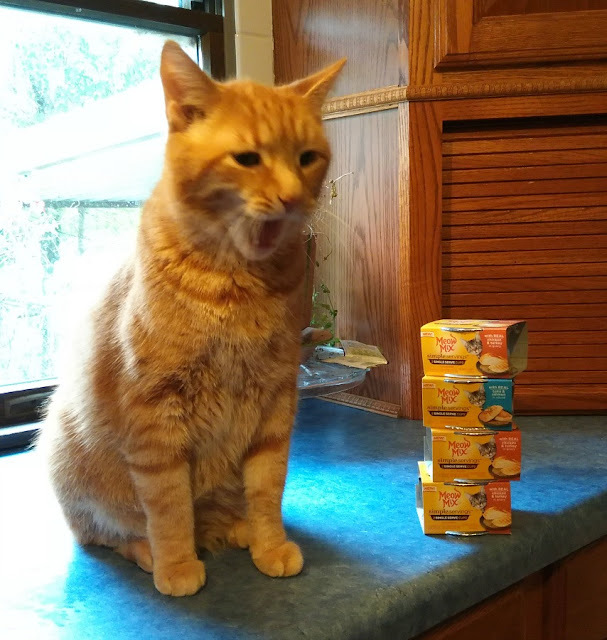 Tigger and Buddi love Meow Mix® Simple Servings™ cat food. Their favorite cat food flavor is chicken and turkey. 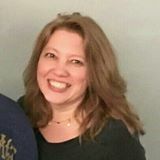 When you shop at Meijer you can use their mPerks offer and get 30% off from 10/08/17 - 11/04/17. Awesome! First things first, when we walk into the kitchen fat cat follows. He's always looking for an opportunity to eat. There's always dry food in the dish in case he gets hungry between meals, but he's too finicky for that. If the food has been out for more than an hour, he starts slapping the bowl to to get our attention. 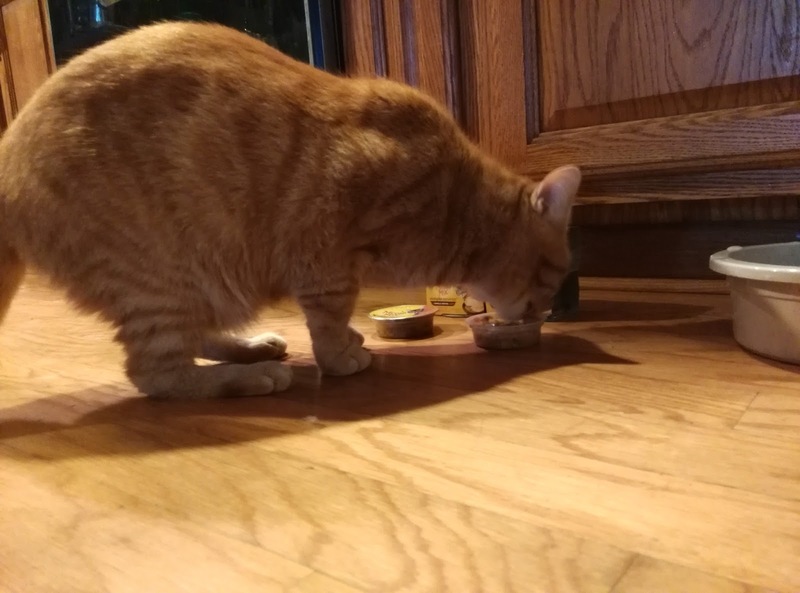 When we ignore him, he tips the bowl over and spills the 'stale' food out onto the floor. Grr. We sweep the cat food off the floor several times every day. So, of course, he is first to arrive for Simple Servings. The plastic cups are ideal for portion control. Now, Buddi smells the cat food, hears the the purring, and comes running. Next comes a paw duel and some growling. Then, one of the cats bows down to the other. To our surprise, the bigger cat stood back. She's that blur running in for the food. With Simple Servings we can fix this mess! Each cat gets their own serving. You can serve it on a plate or leave it in the cup. So no bullying, right? Wrong. Aww... What a gentleman. He steps back and lets the lady eat. How sweet. 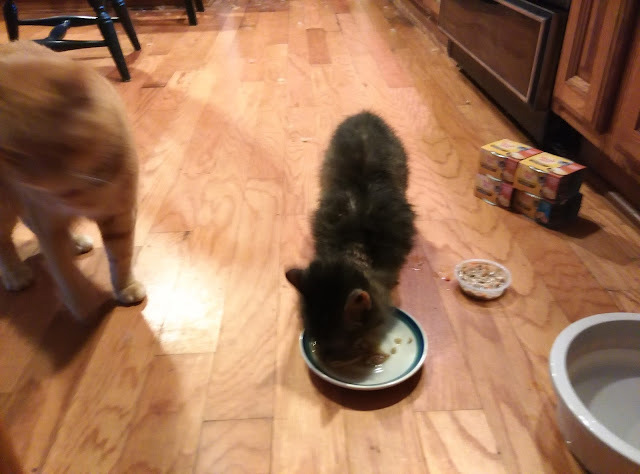 We tried to give him his own plate of Simple Servings, but she kept running back and forth to each plate and crowding him out of the way. So, what's a poor gentleman kitty to do? With the mess-free, new Meow Mix Simple Servings cat food from your local Meijer store, you can serve him on the counter or at the table... Well, if you're a cat person. If you don't like the idea of your cat on the counter just stick a cup on a chair. Tigger enjoying Simple Servings on the kitchen counter- no mess! Meow Mix® Simple Servings™ is a new, single serving of delicious wet cat food in a convenient, mess-free cup. It comes in single-serve portions so there are no leftovers, you can serve right from the cup and pop it in the trash when your cats are finished eating. The cup is easy-to-open and easy-to-serve without forks or spoons. 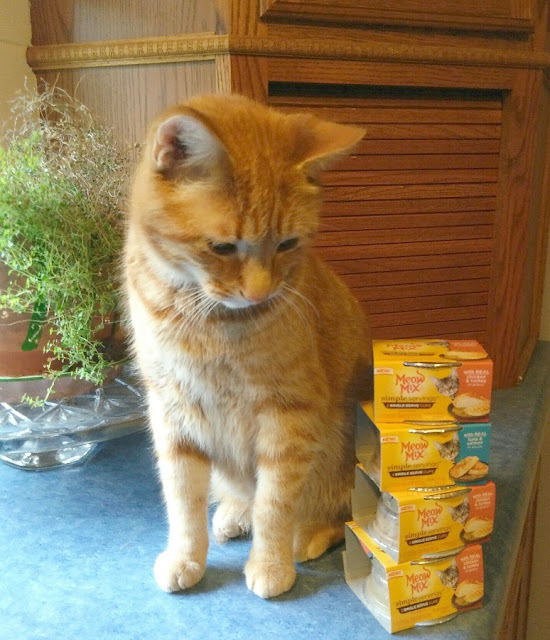 Tigger loves the pieces of real seafood or poultry in a savory sauce or gravy. 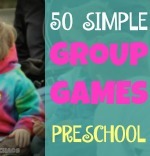 His favorite flavor is Chicken And Turkey, but there are plenty of flavors for your picky eaters. Each Simple Servings cup is a single serving so you can feed your cat the wet food they crave, without the hassle of worrying about portioning or what to do with the leftovers. All you have to do is open and serve—it’s that simple. Yum! Licking his lips and yawning after filling his belly with his fair share. Problem solved, bellies full, a peaceful ending to the cat food bully situation. You can find these in the Wet Cat Food aisle at Meijer.